Hi everyone, TechEd Europe was an amazing and awesome event, I was working how Technical Learning Guide in the Hands On Labs (Lync-Exchange), I did a lot friends and was the opportunity to speak, learn and share with news and olds MVP, how The MVP´s Miklos Cari, Michael Kirts, Dani Alonso, Boriana, Pep, Lluis and others. The moment special was the picture with the Lync MVP Justin Morris and Johan Delimon, Thanks guys are nice pleople. Hola a todos el TechEd Europa fue un evento asombroso e increíble, estuve trabajando como Tehnical Lerning Guide en el área de Laboratorios de Lync y Exchange, hice muchos amigos pero también tuve la oportunidad de conversar, aprender y compartir con nuevos y viejos amigos, como el MVP de Bolivia Miklos Cari, Michael Kirts, Pep, Lluis, Dani Alonso Boriana y otros grandes MCT y MVP. 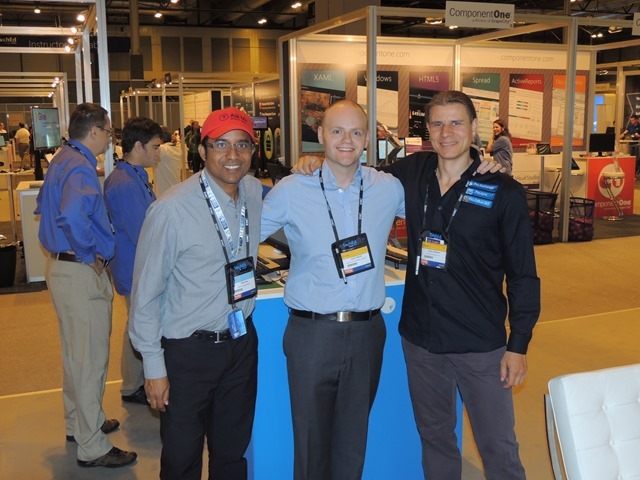 Lync MVP: Peter Diaz (Spain)– Justin Morris (UK)– Johan Delimon (Belgium). 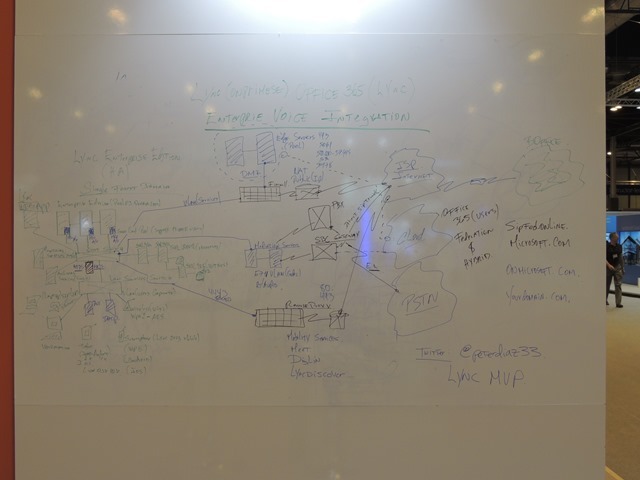 My Lync Architecture in the TechEd Europe 2013. / Mi arquitectura de Lync en el TechEd Europa 2013. By peterdiaz33 in Lync on 24 julio 2013 .